UFC President, Dana White recently spoke with Megan Olivi about the company where he went into detail about Brock Lesnar’s future with the company. 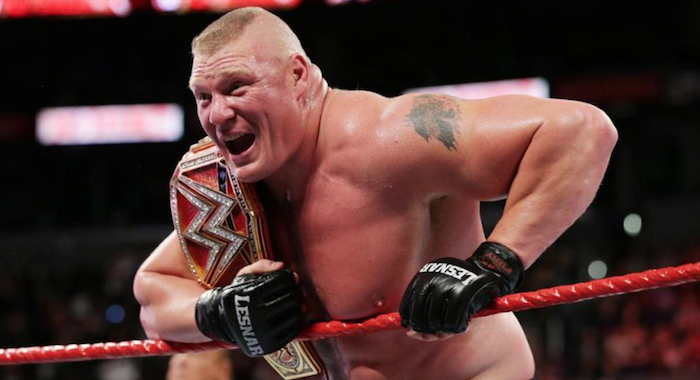 Lesnar has been expected to make a return to UFC for around a year now, but not official fight has been confirmed, however, White revealed he hopes to hear from the Universal Champion this Summer. When it comes to who Lesnar might fight, Daniel Cormier has been the long-standing rumor and White confirmed that both men want to fight each other. “I think both guys really want it, Cormier wants it bad. I know Cormier wants it bad, and Brock wants it bad. So, when two fighters want to fight each other as bad as these two do, I think it’s going to happen,” White said. H/T to WrestlingInc.com for the transcriptions.